The CW has released a new promo for The Flash today, and though the first video offered our first look at the big bad, Zoom (see below), this one confirms that Robbie Amell’s Ronnie Raymond isn’t the only Firestorm anymore. Following the defeat of Barry Allen’s arch-nemesis Eobard Thawne (aka Reverse Flash), Team Flash quickly turned their attention to the singularity swirling high above Central City, which fans last saw consuming everything in its path. Armed with the heart of a hero and the ability to move at super speeds, Barry charged into the eye of the singularity, but will he actually be able to save his city from impending doom? The Flash stars Grant Gustin as Barry Allen/The Flash, Candice Patton as Iris West, Rick Cosnett as Eddie Thawne, Danielle Panabaker as Caitlin Snow, Carlos Valdes as Cisco Ramon and Jesse L. Martin as Detective Joe West. The new season will see the addition of newcomers Violett Beane as the female speedster Jesse Quick, Demore Barnes as Tokamak, and Candyman himself Tony Todd as the voice of the new “big bad,” Zoom. 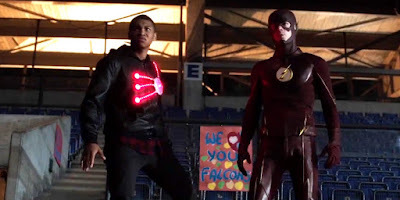 The Flash is executive produced by Greg Berlanti, Andrew Kreisberg, David Nutter and Sarah Schechter. 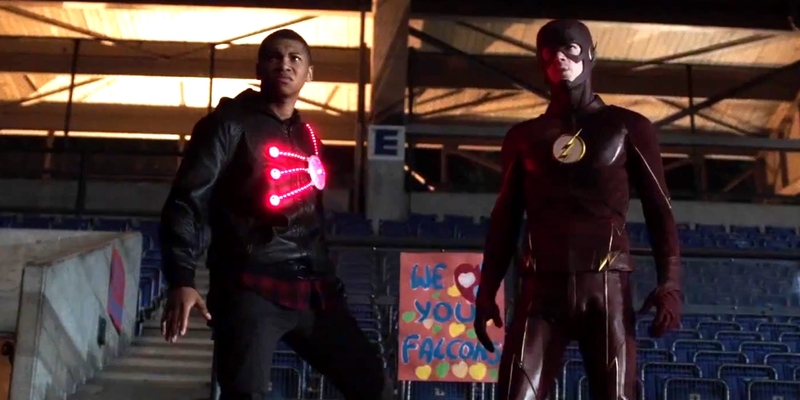 The Flash will premiere its second season on Tuesday, October 6 at 8 p.m. EST.